On May 24, 2018, the XVII International Universal Exhibition "White City - Ashgabat" began its work in the capital of Turkmenistan. 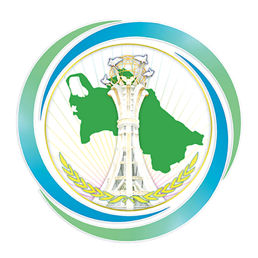 The exposition is designed to demonstrate achievements, accumulated work experience and prospects in the field of urban development, architecture and the formation of urban infrastructure in modern Turkmenistan. The organizers of the exhibition - the Ashgabat Khyakimlik and the Chamber of Commerce and Industry of the country - offer the widest range of topics of interest for mutually beneficial cooperation: from construction to electricity, refining and light industry, design and all that, one way or another, is part of the concept of living arrangements of the cities. Representatives of more than 80 domestic and foreign companies, enterprises of sectoral ministries and departments of Turkmenistan, as well as representatives of business circles from Russia, Great Britain, France, Germany, Korea, Kazakhstan, Ukraine and others took part in the present exhibition. Government officials, representatives of the Mejlis, heads of the branch ministries and departments, heads of diplomatic missions accredited in our country, public organizations, domestic and foreign businessmen, experts, media workers, residents and numerous guests of the capital took part in the opening ceremony of the exhibition. In the welcome address of President Gurbanguly Berdimuhamedov, he expressed confidence that the present exhibition will show the world successes and achievements in the arrangement of the capital, dubbed as the pearl of Asia. The exhibition presents high-tech equipment, tools, modern construction and finishing materials, computer and communication capabilities, achievements in the food industry, success in solving environmental issues, developing sport and tourism, scientific, human and cultural potential. Among the foreign exhibitors were organizations and companies that take part in the implementation of joint projects in the field of urban development and industry, as well as road and transport infrastructure. Leading partners of Turkmenistan demonstrated models of construction sites, innovative developments and technologies related to providing the best living conditions in the urban environment and urban management, including such areas as construction, water supply and lighting, road construction, and the active leisure industry. Perspective plans for the development of the Turkmen capital now attract the closest attention of large foreign investors and contractors, producers and business circles who want to get involved in the implementation of a large-scale program for the construction and improvement of Ashgabat. And these days the exhibition will become a place for a broad discussion of issues of urban development, the development of city transport systems, communications, the sphere of life, trade and services. The XVII International Universal Exhibition "White City - Ashgabat" will create a platform for presentations of new projects and proposals, as well as allow foreign visitors to get acquainted with the achievements of various industries and structures of the Turkmen national economic complex, which represent the industrial, cultural and intellectual potential of Ashgabat, its huge social and economic resources and opportunities.